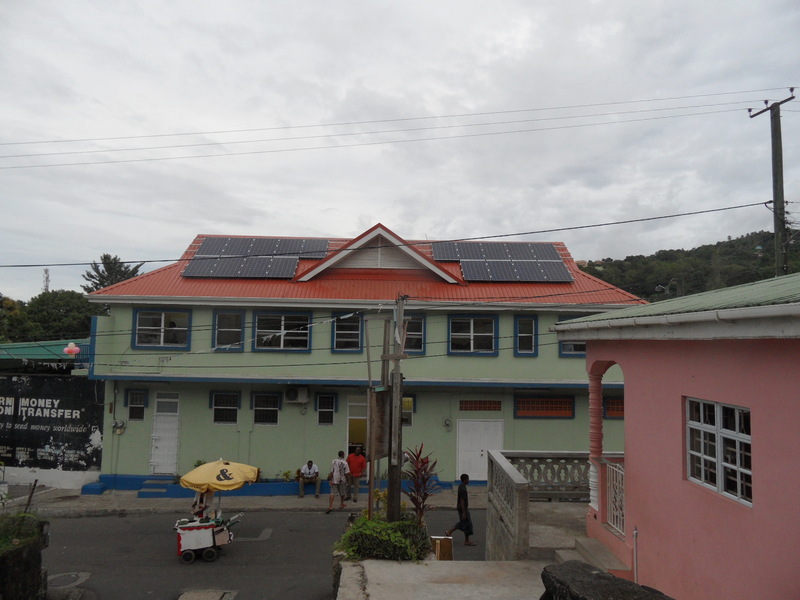 A team from the Caribbean Community Climate Change Centre led by Executive Director Dr Kenrick Leslie was present yesterday for the official opening of the Marchand Community Centre, a climate-smart facility near Castries, Saint Lucia. The Marchand Community Centre was renovated and retrofitted as a pilot adaptation project under the Special Programme on Adaptation to Climate Change ( SPACC): Implementation of Adaptation Measures in Coastal Zones Project— a multi component initiative executed by the Centre with co-financing from the Global Environment Fund (GEF) through the World Bank and the Government of Saint Lucia. Other participating countries included Saint Vincent and the Grenadines and The Commonwealth of Dominica. 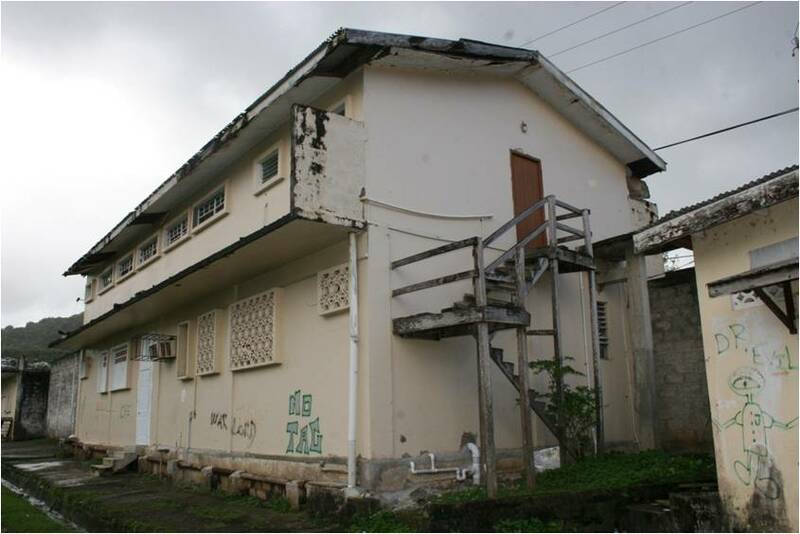 The community centre was renovated and retrofitted to demonstrate the design and implementation of appropriate interventions to reinforce critical infrastructure that can withstand the effects of intensified wind speeds from category three and above hurricanes. Dr Leslie told the gathering of community members, government officials and media that the US$300, 000 facility, 60% of which was financed through the Centre, incorporates new wind speed engineering design and is an energy efficiency success story. 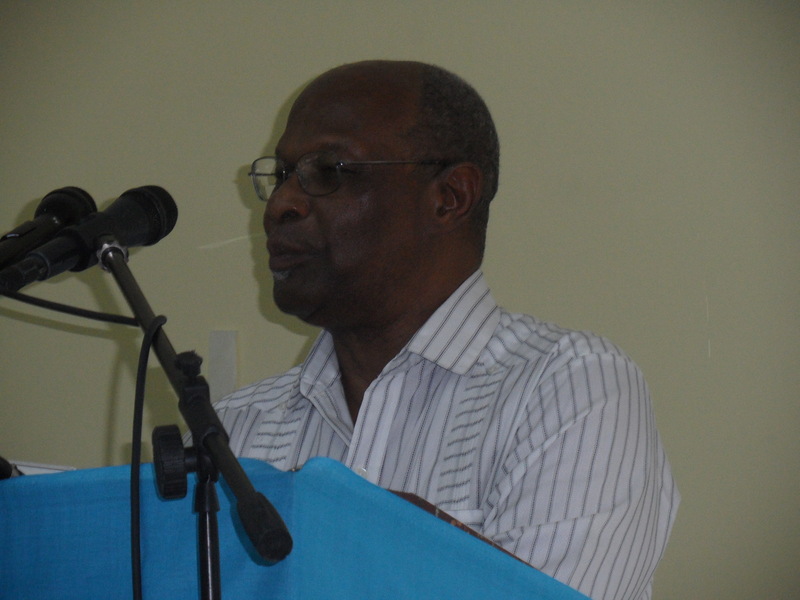 He noted that the facility features a US$36, 000 photovoltaic (PV) component funded by the 5Cs, Government of Saint Lucia and Caribbean Renewable Energy Development Programme (CREDP) that will ensure the provision of power during outages, which will prove essential in the event of a storm. Reinforced critical infrastructure such as the Marchand Community Centre, a multipurpose facility slated to also function as a hurricane shelter, is a key part of efforts to make the Caribbean more climate resilient, especially as scientists predict an average of three to four Category 4 and 5 hurricanes per year by 2025 in the Atlantic Basin. Water conservation, through the use of low-flush toilets, basins etc. By caribbeanclimate in News on December 2, 2013 .